VICTORY! This season will be remembered as the best in SJP II school history! The Intermediate Girls team finished their season as Divisional and Area Champions! They showed passion and perseverance as they out hustled and out worked many of their opponents. 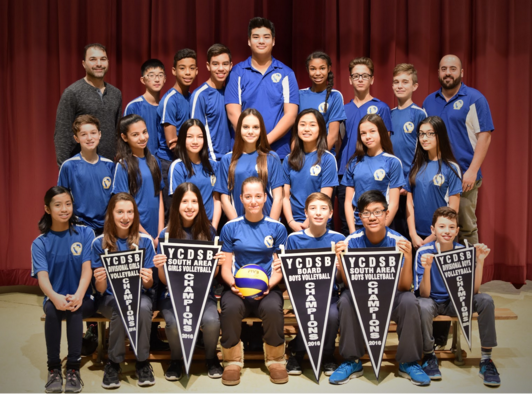 The Intermediate Boys team finished their season as Divisional, Area and YCDSB Board Champions! They showed great team character battling back ... Continue reading "Volleyball News – 2016"